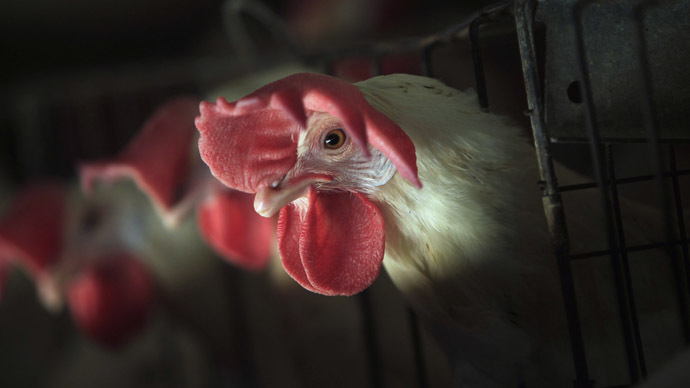 Iowa, the United States’ top egg producer, has become the third state to declare a state of emergency over the growing bird flu outbreak, joining Minnesota and Wisconsin. At the time of Gov. Terry Branstad’s Friday press conference, 16 million egg-laying chickens had tested positive for bird flu. The state of emergency is effective immediately and will continue until May 31 unless terminated sooner or extended by the governor. Iowa officials started receiving notice about an outbreak of the virus beginning on April 21. The pathogen is highly contagious for turkeys, chickens and other poultry. While it’s not a threat to humans, it can lead to high costs over the loss of livestock and property, and quickly exhaust local emergency responses, according to Branstad. “While the avian influenza outbreak does not pose a risk to humans, we are taking the matter very seriously and believe declaring a state of emergency is the best way to make all resources available,” Branstad said Friday. So far, 21 poultry farms spanning 10 Iowa counties have reported cases of bird flu that are either presumed positives or confirmed positives. An estimated 16 million egg-laying chickens in the state have tested positive for the flu and will be culled – a number that represents a quarter of the state’s chicken population. The measure provides resources, supplies and equipment to track and contain the influenza outbreak, including the removal and disposal of infected animals on public or private lands. It also lifts transportation limits for the hauling of dead birds. State and law enforcement officials are allowed to set up checkpoints and road blocks anywhere in the state “in order to stop the spread of this contagious disease,” according to the governor’s measure. Iowa produces 1 in 5 of the eggs consumed in the US. Minnesota and Wisconsin declared their state of emergencies in April. Two strains of avian influenza have been detected in farms across the US since it was first discovered in December. The H5N2 strain is in Arkansas, Idaho, Iowa, Kansas, Minnesota, Missouri, Montana, North Dakota, Oregon, South Dakota, Washington and Wisconsin. The H5N8 strain has been identified in California and in Idaho. The outbreak could lead to extermination of up to 21 million chickens and turkeys nationwide. Dozens of countries have imposed total or partial bans on US poultry and poultry imports since the outbreak. “Iowa’s poultry farms are an important part of our state’s agriculture industry. This disease is having a far reaching impact and, unfortunately, it has continued to spread. We have seen tremendous support and coordination from state, federal and local partners and this emergency declaration will allow the state to continue to respond aggressively to this disease outbreak,” said Iowa Secretary of Agriculture Bill Northey.